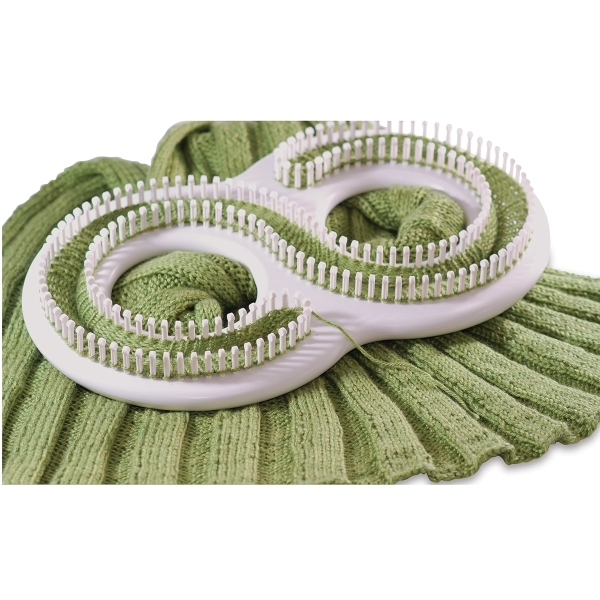 Knit a beautiful afghan or blanket in one piece with the KB Afghan Loom. 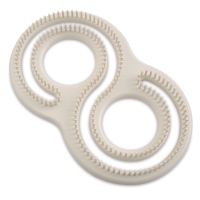 This regular gauge, S-shaped loom knits up to 60" wide, and its rounded construction and shape allow for many stitches without taking up much room. Start on your beginning peg and work around the loom, turning as you go. 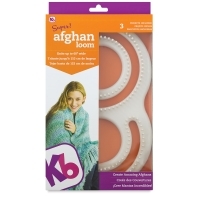 The Afghan Loom is made of sturdy, high-grade plastic and comes with a knit hook, detailed instructions, and three project patterns. Worsted weight yarn is recommended.